When he left the Fellowship of Lorien elves gave them each a hooded cloak of light but warm silk fabric, woven from Galadriel. Every hood was closed at the neck by a brooch like a green leaf veined with silver. 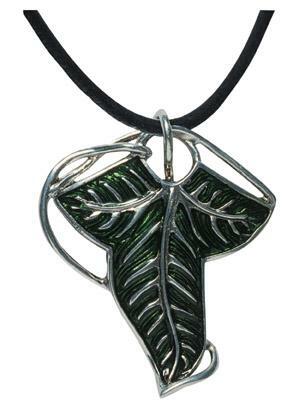 The pendant is one of the Fellowship is a special creation.